I just love the look of your blog now. Going over to look at RLs website. Mine needs an update. You keep mentioning it, Dear One. I am so happy you do mention it. Our world needs to hear it and feel it! ps. Your blog looks GREAT! 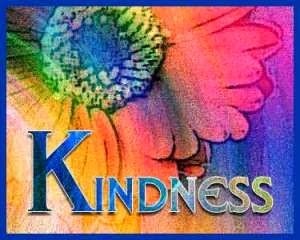 I am 4 days late, so I will have to do extra acts of kindness today. I actually enjoy finding random ways to surprise people. Oh my goodness Pat, I was just over at Suzan's blog Simply Vintageous and read her story about how serendipitously you won the beautiful heart bracelet. Then I decided to pop on over here for a visit and I'm sure glad I did! I love the appearance and tone of your blog. Your sloan and your about me is awesome - you sound like my kinda gal! I am a new follower and look forward to reading your posts and getting to know you better. I blog over at The Interior Frugalista.